At Godrej Prana, a modern life style is just waiting for you. It is ready to open a new chapter in your life. Spreading across 31 acres of land this residential complex is located next to Tata Inora Park, Undri-Saswad Road, Undri, Pune. This residential apartment is thoughtfully designed with all the modern specifications and offers you 1, 2, 2.5 and 3 BHK apartments which represent a perfect balance of nature and man-made facilities. Undri, Pune has all it all to make it a hot property destination. For many years, it lacks the required infrastructure but in the past few years, the area has seen major development and is now very well connected with a maze of roads and interstate highways which are really a great boost for the property developers over here. Godrej Prana, Pune is an ideal choice to have a residential property over here due to its vicinity to tempting Pune Camp which is now one of the fast developing areas of the city and becoming a hotspot for the residential property development. Laid-back charm of the city, peaceful and scenic surroundings, good climatic conditions, well connectivity with all modes of transportations, reputed schools and education institutions, and unmatched health facilities etc surely make Pune a city which surely deserves a place to have your home over here. 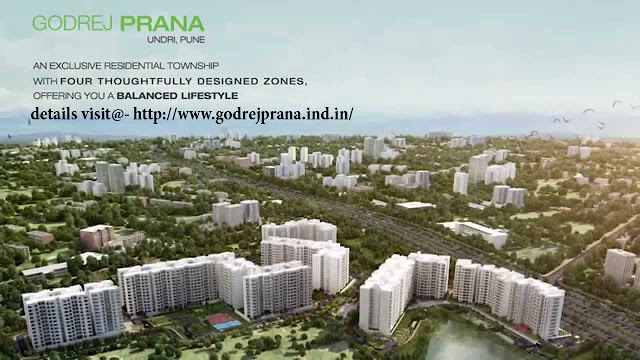 Godrej Prana Undri is a rare mix of nature and modern style of living. Here you surely feel the closeness of nature because each home is designed in such a way that you can enjoy a plenty of sunlight and cool breeze of fresh air that relieves you from the pressures of urbanization. The amenities that you are going to enjoy at Prana by Godrej Group are surely unmatched. Smooth interiors, tough exteriors, a vibrant texture of colors, elegant furnishing of Godrej Prana surely offers you a heavenly feel that you want to cherish with your family and loved ones.